It is safe to say that the anti-aging facial massage is becoming more and more appreciated in the fight against aging and passing time. It also becomes an alternative to plastic surgery procedures! After the first treatment, you can notice a visible difference in skin tension. The effects are really fast! – stimulation of facial muscles (not stretching the skin!) – natural lifting! 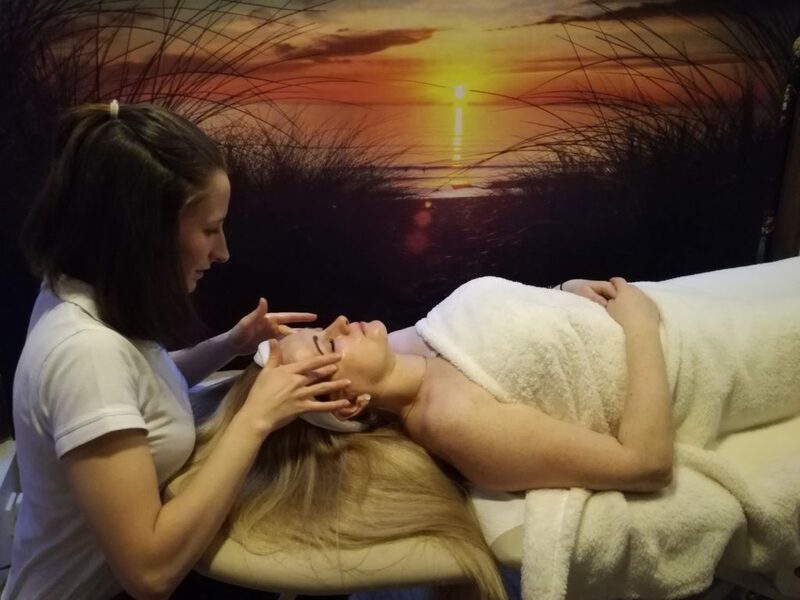 – exfoliation of the old epidermis, thanks to which the skin is better oxygenated and thus better prepared for the absorption and operation of the cosmetics used. This massage, contrary to appearances, is very fast and intense procedur, that’s why the skin is stimulated for regeneration and made more elastic. It is a combination of pleasant and useful – the fight against aging with total relaxation. For such treatments, we invite people with mature complexion, but also people who want to take care of their facial skin for the future. It should be remembered that the aging process begins after the age of 20! Massage is based on cosmetics with natural ingredients with sensual scents, it will also work on the principles of aromatherapy. We use fot example coconut oil or aromatic shea butter. Contraindications: lichen; herpes; acne; inflammation and purulent in the mouth; fever; enlarged lymph nodes; high pressure; advanced atherosclerosis; thrombosis; phlebitis.